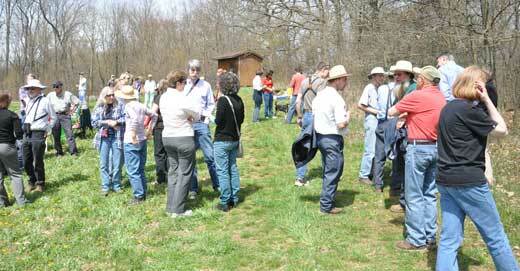 A large crowd of community members congregated on Saturday to show their appreciation for the donation of Fern Valley to The College of Wooster as its new field station. Betty and David (retired French Professor) Wilkin donated the tract of land located in northern Holmes County that includes a gorge and a stream (Wilkin Run (unofficial name)). 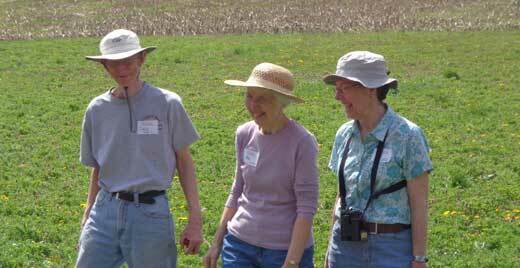 David and Betty Wilkin with Lyn Loveless (right, Biology) during the dedication of the Fern Valley field station. 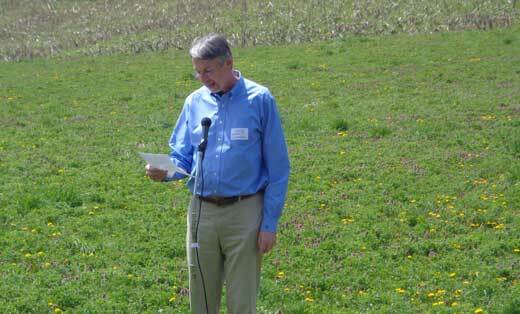 President Grant Cornwell shows his appreciation for the gift to the College. 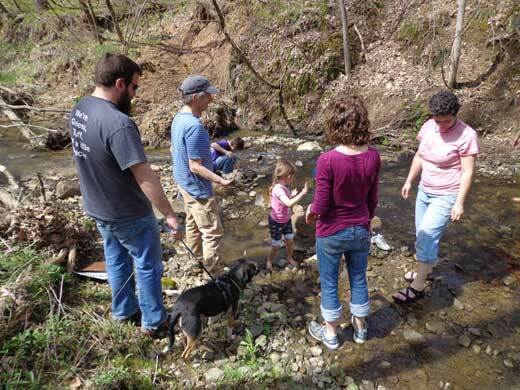 A transdisciplinary group examines the biota and geologic setting of the stream bed. Several classes across the curriculum have visited and collected data from Fern Valley. Geology has begun to install dataloggers and other equipment to monitor streamflow, sediment flux and mass movements at Fern Valley. Photos and the data collected will be archived at the Wooster Digital Resource Commons. The Geology includes Paleozoic sedimentary rocks overlain by as much as 150 feet of unconsolidated glacial sediments. The water well logs in the area show a buried valley that includes a preglacial lacustrine deposit of several tens of feet of lacustrine clays. The clays were laid down prior to the most recent (~20 ka) advance of the Laurentide Icesheet and the tills and ice contact deposits exposed along the valley walls incorporate these lake clays. Wilkin Run is now cutting through this sedimentary pile and in many places is now in the lake clays. The lake clays serve as a hydrologic barrier and slip plane for mass movements along the valley. A Clinton Well drilled in 1950 to a total depth (TD) of 3000 feet is also on the property and is now part of a natural gas storage field. The current land use in the basin is largely agricultural. Wilkin Run (below) flows north into Odell Lake. Wooster geologists have cored the lake and together with the ongoing monitoring of sediment flux through Fern Valley; sediment that ultimately ends up in Odell Lake, they can better interpret the sediment cores. 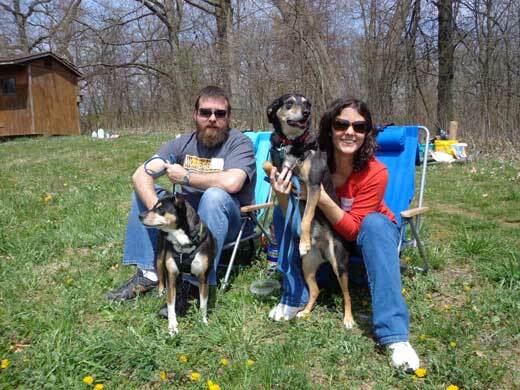 Dr. Meagen Pollock and Russ along with their dogs enjoying the dedication and geology of Fern Valley.